Don’t lie… you know you love binge-watching! Netflix has the hottest collection of classics that we just can’t let go of. From family sitcoms to dark humor comedies, the choices are endless. An escape from reality, on the right occasion, is necessary when you need to kick back and relax. There are 30 shows on Netflix that should be binge-watched more than once – and there’s no shame in that! 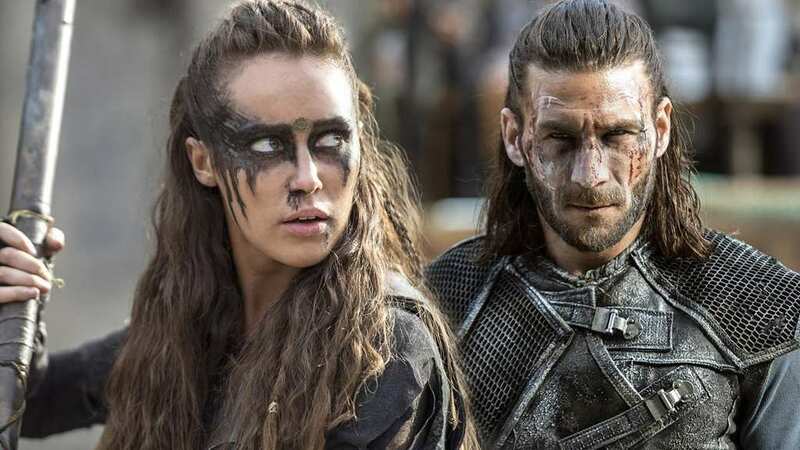 The 100 is set almost 100 years into the future, after a nuclear war has destroyed Earth and predominantly, the human race. This post-apocalyptic series introduces the audience to the adolescent perspective of surviving a catastrophic disaster. A space ship that saved 100 “delinquents” sends them back to Earth to repopulate the planet, but as we’d expect, mayhem ensues. The show strays from the standard CW formula and surprisingly enough, will keep you on the edge of your seat every time to re-watch an episode. 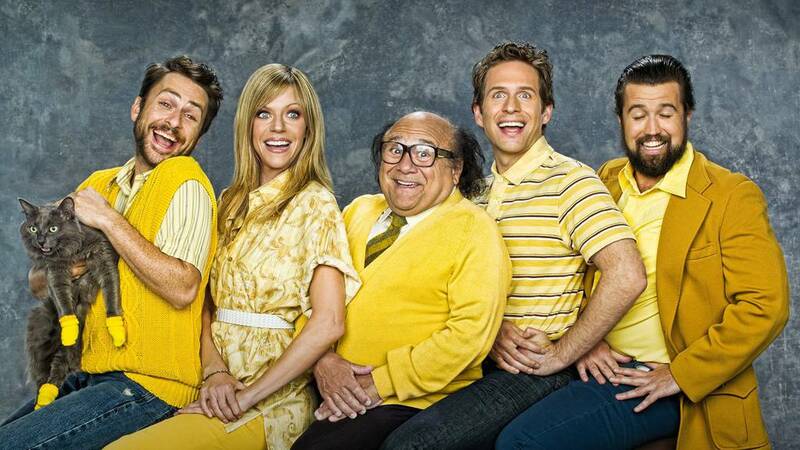 It’s Always Sunny In Philadelphia started out with a cult following but after its first 2 seasons, it gained massive appeal across mainstream audiences. A group of high school friends run a local, run-down bar called Paddy’s Pub and their narcissistic, alcoholic tendencies tend to alienate them from the world outside of their social group. The show, which has been running for 12 seasons, is dangerously infectious and increasingly witty with every new season released. If you haven’t witnessed one of the greatest ensembles on tv (yes, they’re even better than Danny Devito’s other shows), get to watching and get hooked. The Walking Dead has managed to take the worn out trend of zombie obsession and turn it into a fresh, apocalyptic nightmare. In the world of “Walkers,” it’s the remaining members of the human race that you need to fear the most and traveling with the incomparable Rick Grimes and the universally worshiped Daryl Dixon will transport you into a surreality you won’t ever want to abandon. 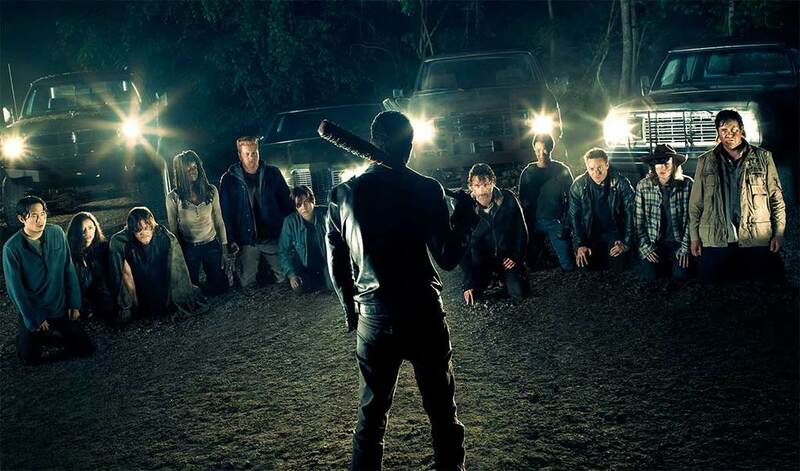 The Walking Dead is currently on it’s 7th season, which also happens to be the most gruesome and shocking of them all. If you can stand a little nail-biting and blood, The Walking Dead is a show worth binge-watching on Netflix for all time. Unbreakable Kimmy Schmidt focuses on the life of a young woman after she was rescued from the underground compound of a doomsday cult. Scary, right? We know. 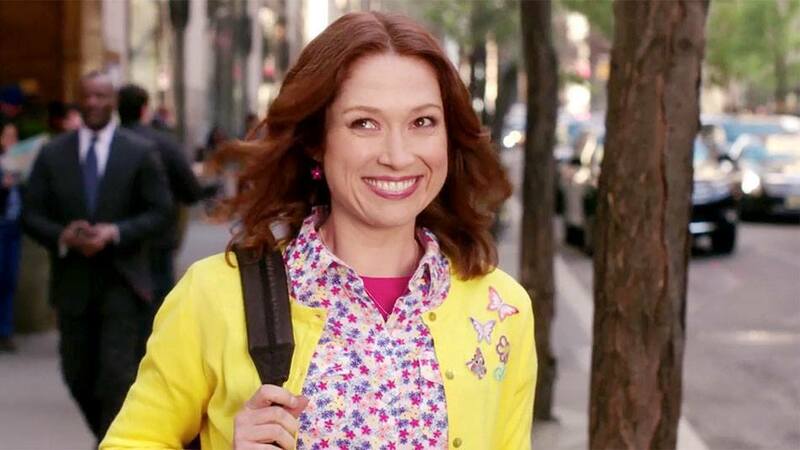 Anyway, Kimmy Schmidt is the most charming, endearing character you’ll find on television these days and her laugh is just as contagious as the show itself. Watching Kimmy explore New York City and begin her life as a functioning member of society (or you know, an adult) is absolutely hilarious. It’s the perfect show to pick you up out of your doldrums and help you realize just how much we really do take the simple things for granted. Making A Murderer has proven to be a shocking documentary that exposes that fraudulent behavior that law enforcement can be capable of. Personal opinion aside, the Netflix original series follows a real-life circumstance that in actuality, is the American public’s worst nightmare. 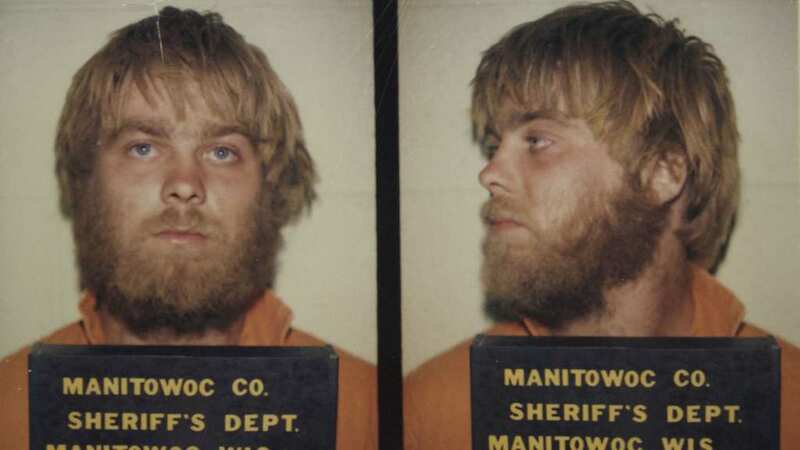 The tale of Steven Avery is just as riveting as it is frustrating; after serving 18 years in jail for a crime he didn’t commit, Avery is back on the chopping block after local police allegedly framed him for a new crime. Binge-watch at your own risk. It’s totally worth it, though. The Office feels like home. Binge-watching the classic mockumentary never feels strange because literally, everyone does it and it’s completely normal to never be able to get enough. Jim and Pam satisfy your true love fix with each episode (after they get together), you can never be sure if you want your boss in real life to actually be Steve Carrell, and pranking Dwight is the highlight of your Netflix-themed evening. The inappropriate shenanigans that occur aren’t too inappropriate to make you feel guilty and eventually, you feel like you know every one of the characters personally. 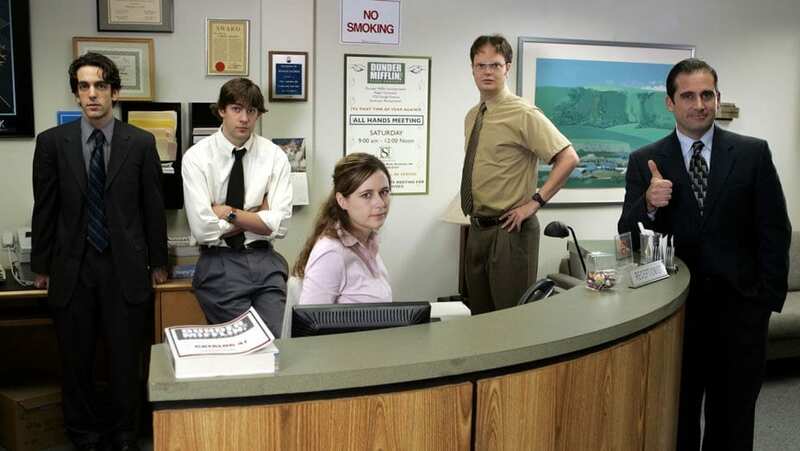 You can never go wrong with The Office. 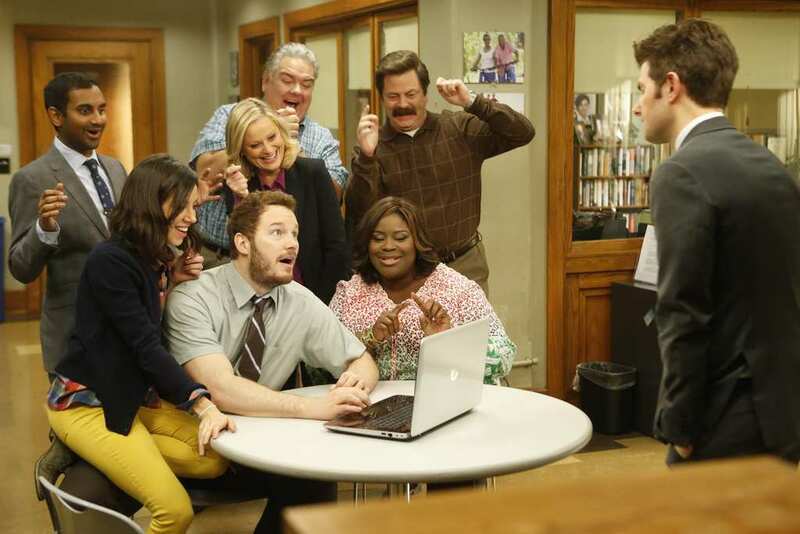 If you enjoyed The Office, then Parks & Recreation is right up your alley. The Pawnee Parks and Recreation department is run by the overzealous and awkwardly upbeat Leslie Knope, along with her band of small town employees who also happen to be her favorite people in the world. No character is alike in interest, culture, political party, or job position, but the contrast between their personalities is what makes their chemistry so unique. Parks & Rec gives its audiences a feel good vibe and it’s consistently on point with the giggles. Plus, Ron Swanson never gets old. Figuratively speaking. Louie C.K. is known for his unconventional method of comedy. He brings the laughs by pointing out the negative and unfortunate circumstances of life, then rips your heart out when he’s done. The irony with his tv show, Louie, is that this type of comedic strategy educates you. Louie doesn’t make you said but it does make you think, mostly about your past mistakes and how they’ll affect your future. Dark humor fans praise the insight and realism that Louie brings the table and perhaps, that’s why the show is still running. You’ll also get a piece of his stand-up routines at the beginning of each episode, which is a definite bonus. 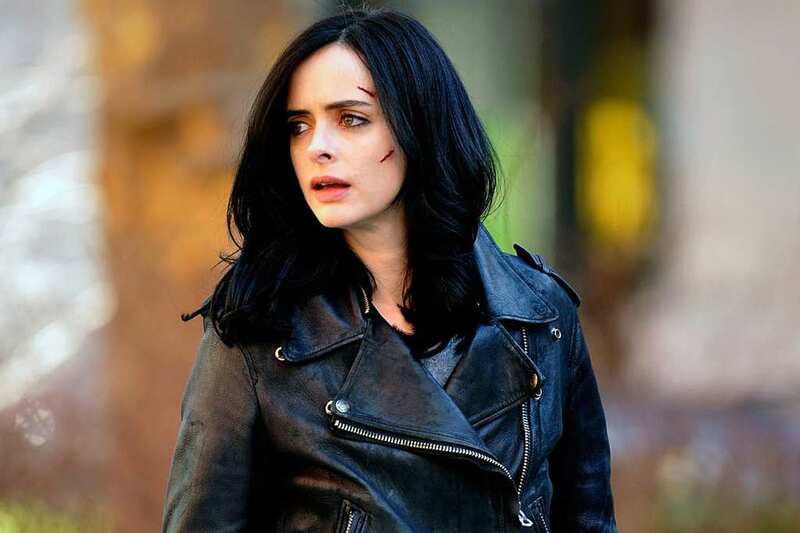 Jessica Jones has one of the most intriguing backstories on current television. Jones is a retired superhero, whose newest venture is becoming a private investigator. She opens her own detective agency and primarily provides services to victims or perps with superhuman abilities. Jessica Jones is based on a graphic novel, which is most certainly not suited for children. Consequently, the tv show has a dark undertone and is recommended for adults only. It’s action packed and focuses on Jessica’s personal struggle with PTSD. Watch it for yourself and decide if she’s an altruist or if she’s really just all about herself. 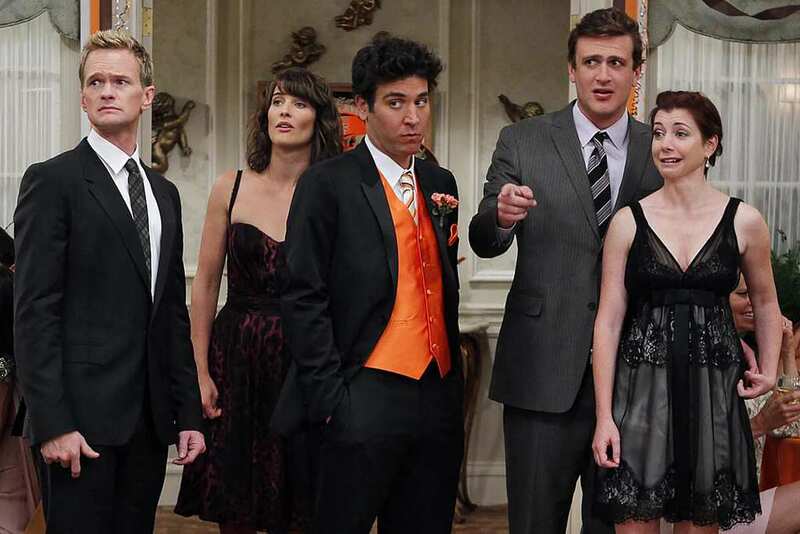 How I Met Your Mother is a first-hand, 9 seasons long account of how Ted met the love of his life. Throughout the series, he’s narrating each episode to his children and explaining how it came to be that he met their mother (obviously). If you like a good twist or a taste of controversy, you’ll be in for a treat when you reach the end. For those who binge-watch the series on repeat, we’re sure the finale still gets you every time. How I Met Your Mother may be a comedy but it’s easily applicable to the viewer’s life. Nothing turns out as you expect it to and that’s okay. Sometimes, that’s a good thing. Marvel fans will get a kick out of Daredevil. 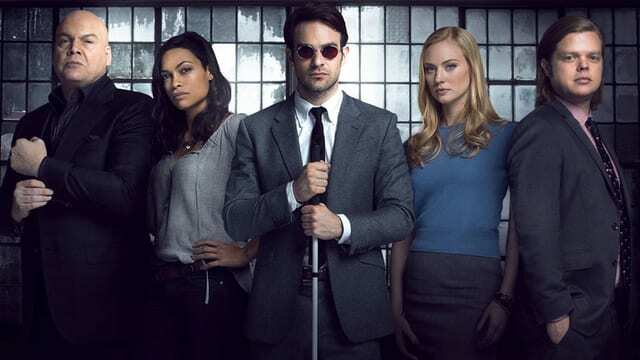 The sequence follows a blind lawyer, named Matt Murdock, who has superhuman abilities and fights crime in his spare time. Murdock might as well have a split personality with all of the inner-confrontation he struggles with; during the day, he’s a hard-working lawyer who respects the criminal justice system. At night, he has no regard for legality or society’s laws. The impending juxtaposition gives the superhero show a little extra depth but that doesn’t mean it’s short of any comedic relief. It’s about time someone took charge and protected Hell’s Kitchen! 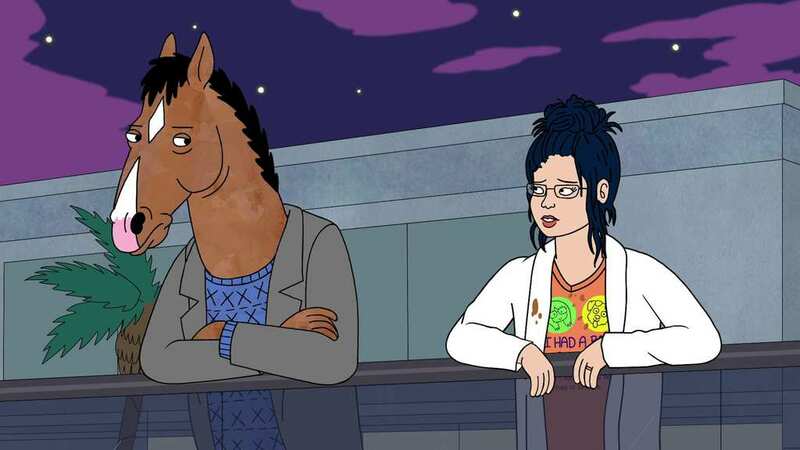 If there was a cartoon that chronicled the retirement of Mr. Ed and his life as a Hollywood has-been, it would be Bojack Horseman. You see, Bojack used to be a big star back in the day and he’s washed up, broke, and has no purpose in life. Bojack Horseman has an existential undertone to it, which makes it a bit difficult to swallow sometimes. Similar to Louie, the cynical aspect of life rears its ugly head and makes you ask yourself, “what’s the point of it all?” The silver lining here – is that you have Bojack to help you figure out. People who will especially love this show: Will Arnett and Amy Sedaris fans. Enough said. Orange is the New Black managed to do the impossible; it actually convinced its mainstream audiences that being locked up in a minimum security prison would be a good time. Of course, we know this not to be true but watching OITNB is the best time that you’ll ever have. Laura Prepon surpasses the immortality she cultivated for herself on That 70’s Show and Natasha Lyonne exceeds all expectations, per usual. The Netflix original series tackles modern social issues in the most subtle and clever ways. Human sexuality, racial divide, financial corruption, and prison childbirth are all addressed. Orange is the New Black is a show to experience, over and over again, if you want to witness something new. You might recognize Riki Lindhome and Kate Micucci as guest stars from the Big Bang Theory. Since parting with Sheldon Cooper, the ladies created their own sketch comedy show where they play themselves and their musical alter-egos known as the title of their project – Art Garfunkel and John Oates. The girls are seriously underrated as comedians and in their quest to achieve mediocre stardom, they’ve decided to add a gimmick in musical form. On the side of watching the show, you can enjoy their songs, written by them! A show that makes fun of living in Portland, Oregon was a great idea. Why? Because everyone makes of Portland for one thing or another. Portlandia, the sketch comedy show, is written and acted out by comedian Fred Armisen and guitarist Carrie Brownstein. Disclaimer: Portlandia is either a hit or miss. It’s almost always a hit, though. At first, the sketches are a bit jarring and usual but after watching a couple of them, you’ll never be able to stop. Portlandia contains moments that you’re bound to favor more than others, just like Saturday Night Live. We suggest binge-watching this one with a friend so you can create a catalog of new inside jokes. English-speaking audience’s prayers were answered everywhere when Jane the Virgin came to The CW and then finally, to Netflix. The show is reminiscent of Spanish-speaking Telenovella style tv and is dramatically narrated by a “Latin Lover.” If you’ve been craving the theatrics of a soap opera but need something a little more fast-paced to keep up, Jane the Virgin is definitely your speed. Evil twins, two-timing cops, love triangles, and a pregnant virgin are all present on this, sort-of family sitcom. 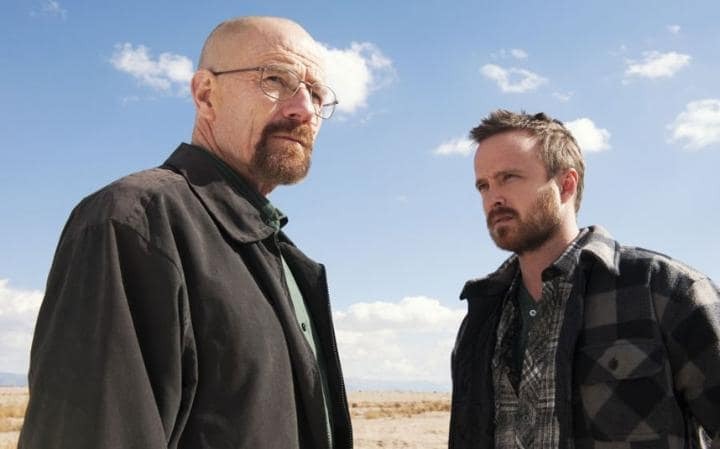 This is one show you’ll get addicted to and watch repetitively until you decide to move to Miami yourself. 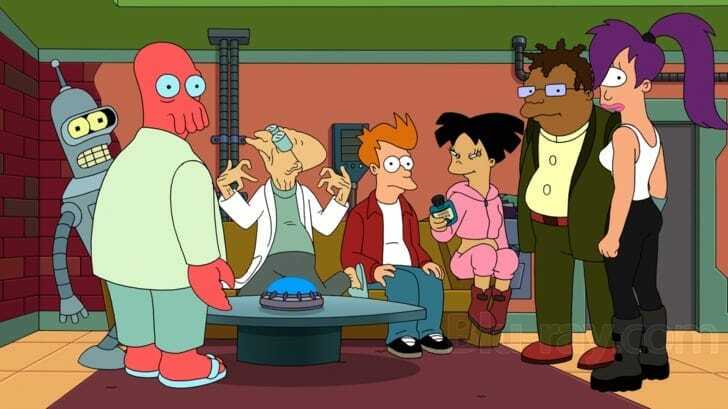 Futurama was one of the few animated shows on television that was canceled and resurrected due to audience outcry. At first glance, it looks like an ordinary cartoon but in reality, Futurama is much more brilliant the average Comedy Central show. The show takes place thousands of years in the future and is a constant, satirical reminder of the modern society we live in. If you enjoy pop culture references, quips against technology, and nostalgic remnants of history, then Futurama has got you covered. It’s binge-worthy not just because it’s a genuinely smart show, but because it contains one of the greatest love stories in television history. 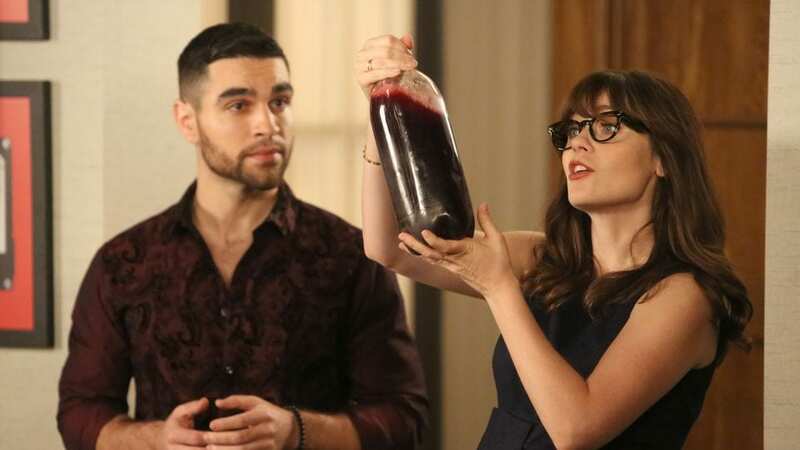 Whenever you’re experiencing the heart-wrenching pain of a break-up, get out New Girl and start binging. The series begins with Jess, a newly-single woman in her 20’s, moving into an apartment with 3 bachelors. If you’re at that stage in your life where you’re trying to figure out where to go in your career, what you want from relationships, or why being an adult is actually worth it, you’ll find that New Girl directly correlates with your confusing emotions. And of course, Zooey Deschanel is adorable and serves as great comedic relief from the first world problems that consume us. We know what you’re thinking – “Isn’t Bob’s Burgers that same guy who voices Archer?” Yes, yes it is. Except Bob’s Burgers is a bit more simple in its context. 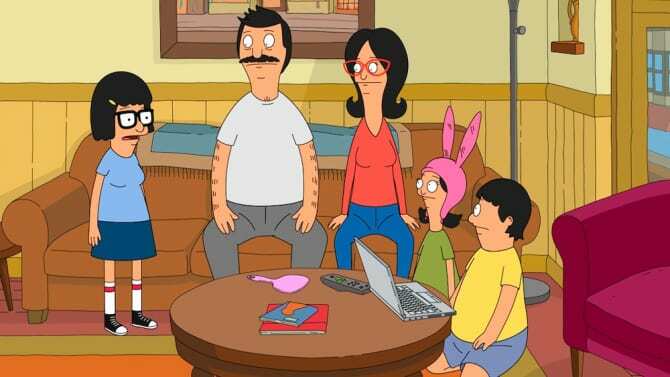 For viewers who miss classic family television that knows how to sneak in an adult joke or two, you’ll appreciate what Bob and the belcher family has to offer. It’s not the cleanest show in terms of script writing but it isn’t as raunchy as South Park or as dirty as Rick & Morty. Linda is show tunes-loving mom, Tina is the adolescent nerd everyone loves, and Louise (a fan favorite) is the diabolical youngest child that could give even Stewie Griffin a run for his money. Planet Earth has surpassed all expectations previously placed on nature documentaries made around the world. It’s an Emmy Award-winning series for obvious reasons. Shot over a span of 5 years (and costing more money than any other documentary ever created), Planet Earth can be seen in high-definition with your Netflix account. Watching wildlife never get boring and it’s something everyone and anyone can watch over and over until they need like, a 5 minute break. Planet Earth is the perfect show to put on when you want the right kind of drama that doesn’t include vampires or love triangles. When Arrested Development was abruptly canceled after 3 seasons in 2006, fans were outraged. Fortunately, Netflix came to the cult following’s rescue and renewed the show for last season as an original production. Now, the whole series is available for binge-watching forever! When the Bluth family is under investigation for fraud, treason, and money laundering, Michael tries to keep everyone together and on the straight and narrow. With the exception of an incestuous relationship between two family members, an alcoholic mother, a father who escaped prison, and a brother who thinks he’s a magician, Michael does a pretty good of holding the family together. Mind of a Chef is a different type of culinary show than what you’re probably used to. 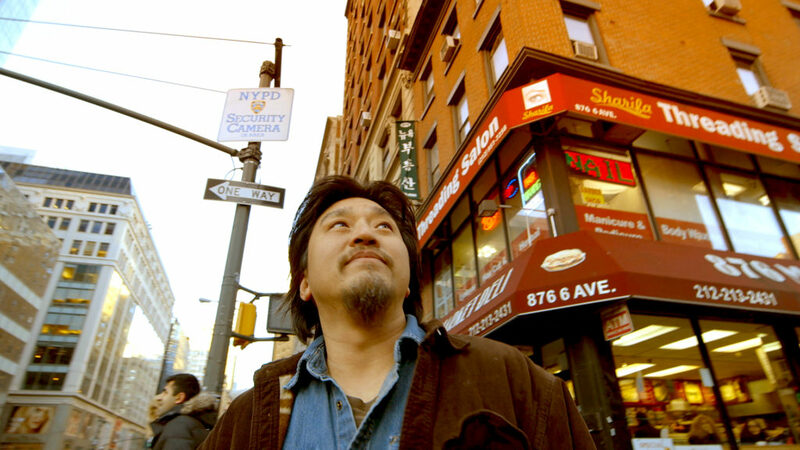 Follow Chef David Chang and his crew to exotic locations of the globe and witness how culinary masters in different countries and of different origins prepare and eat their favorite dishes. There’s a special, slight psychological element to the show that separates it from the typical reality competitions and Food Network specials out there. You’re likely to end up binge-watching Mind of a Chef more frequently than you’d expect – how else will you remember all these crazy recipes when trying to cook at home? If you’re sick of the stereotypical “good girl” characters who need the audience’s love and approval, then we’ve found the right show for you! Don’t Trust B in Apartment 23 is the perfect example of a not so ideal roommate situation. Krysten Ritter is a rude, ready to rock and roll party girl who makes life much less than easy for her living buddy, June. Krysten is the anti-hero of this sitcom and therefore, you won’t feel too guilty about loving her even though she’s kind of a bully. A lot of fans keep coming back and back to this show for one key reason: James Van der Beek. And get this, he plays himself! 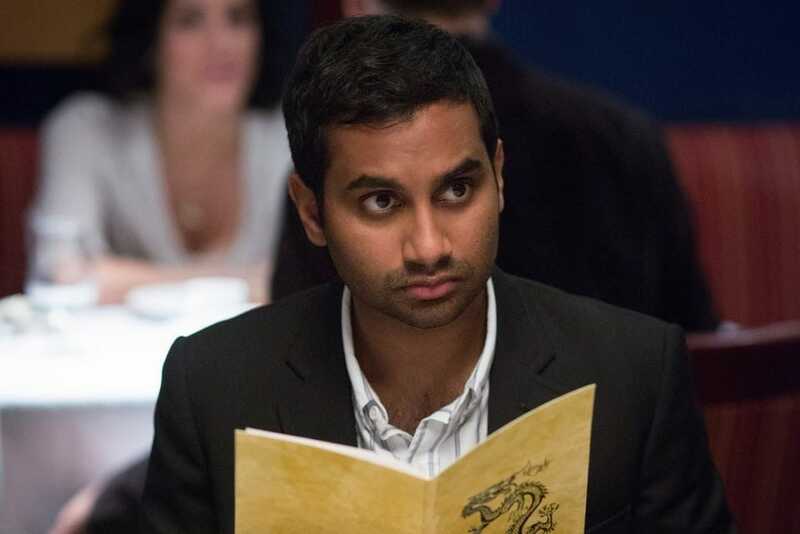 Aziz Ansari’s first headlining sitcom is a masterpiece. For a long time, the comedian was cast in supporting roles and made cameo after cameo before releasing Master of None. In a turn of events, Aziz scratched his usually funny guy routine and opted for a thought-provoking sitcom that brings that serious and more profound aspects of a committed relationship to light. It’s not what we would have expected from him but nonetheless, it’s executed perfectly. Master of None confronts your biggest anxieties and keeps it light-hearted when necessary. It’s worth a good binge-watch or two solely because of the lessons it provides. 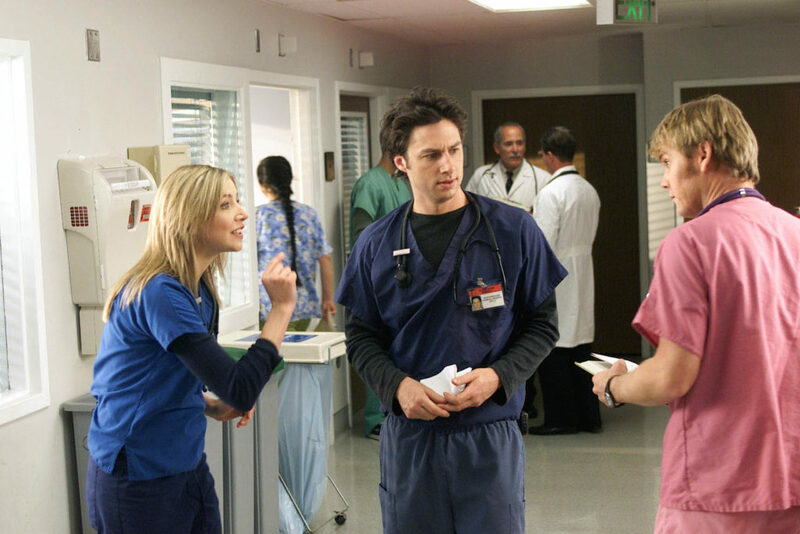 The brainchild of Zach Braff ran for 9 seasons before it before it was canceled. Luckily, the entire series is available for binge-watching on Netflix. Scrubs basically teaches the staff of Sacred Heart Hospital how to deal with the trials and tribulations of life. Romantic attachments are formed, arrogant bosses are dealt with, and the aftermath of letting a down a patient is a frequent subject matter of the show. J.D. and Turk’s bromance sets the standards for male friendships everywhere. Wait, who are we kidding? It sets the standards for every kind of friendship imaginable. American Horror Story is an anthology series that’s always keeping viewers guessing as to the connection of each season. Each staple actor has a recurring role in ever season as a different character, as they storylines and locations change according to the nature of the newest creepy topic. American Horror Story specifically caters to scary movie and suspense junkies who can get enough of killer clowns, corrupt asylums, witch covens, and haunted hotels. 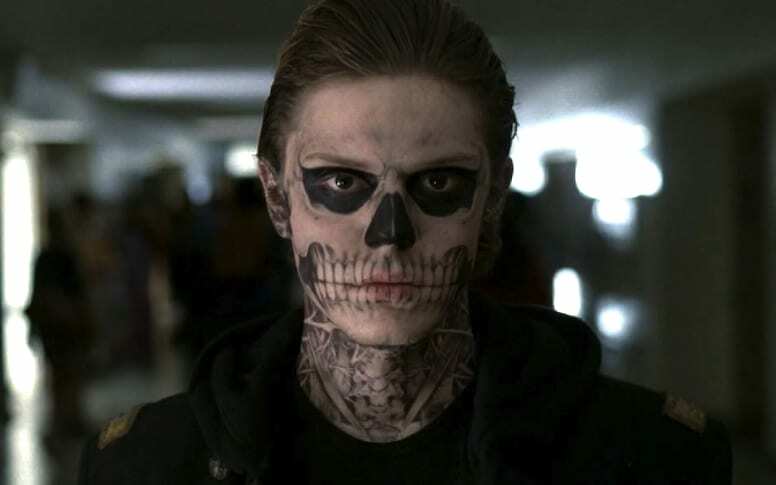 The best part about binge-watching AHS is there’s no need to go in order, season by season. Eventually, you’ll find the hidden clues and connections as you re-watch. It’s difficult to find the right words to describe how valuable Malcolm and the Middle is to the modern age of television. As family sitcoms go, it was one of the greatest of all time. Malcolm, a gifted prodigy, navigates life in his low-income household with an abnormally dysfunctional family. Lois, the matriarch of the family, has been rated as one of the most influential characters in television history, even though she’s the mom you love to hate more than anything else in this world. Binge-watching Malcolm in the Middle is essential for any teenager or young adult. This coming of age classic really is special. Believe it or not, you don’t need to be an avid sports fan to get into The League. The popular sitcom follows the lives of a close-knit group of friends, who share a fantasy football league together. 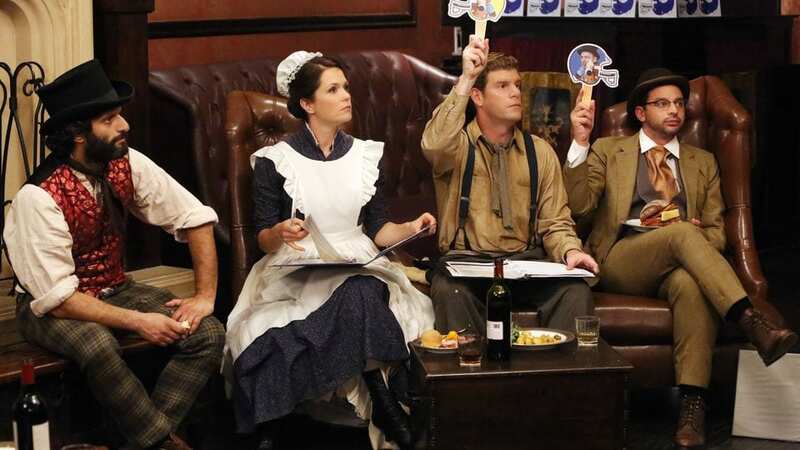 If you know any fo these fantasy gamers in real life, then you’re already aware of how crazy and consumed they can become by the “sport.” This comedy is no different than real life and by that, we mean that things get awfully competitive – competitive to the point that they sabotage one another and drive one another crazy. The League isn’t primarily for men; women can watch it on repeat as well. If you’re an Amy Pohler/Parks & Recreation fan, then you’re definitely a 30 Rock. Tina Fey shows the world, yet again, just how brilliant she really is. 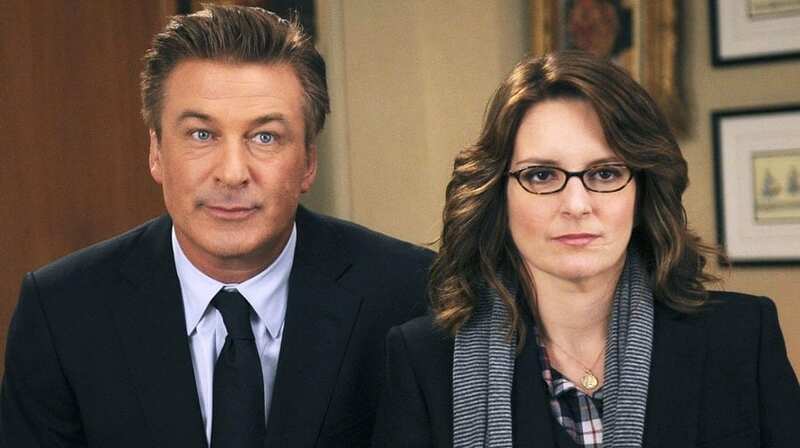 Fey brings the one-liners and makes running gag history in 30 Rock, as introduces Alec Baldwin in a comedic light and brings our beloved Tracy Morgan out of the darkness. It’s relatable (on some strange level) and will make you want to steer clear of stupid humor for the rest of your life. Tina Fey’s take on funny makes you feel as if your IQ raised 10 points with every episode.